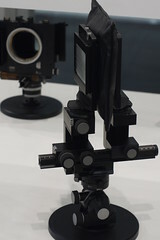 The Arca-Swiss M-line two high-precision view camera. Arca Swiss is a French maker of view cameras, based in Besançon, France. This page was last edited on 4 April 2017, at 05:17.